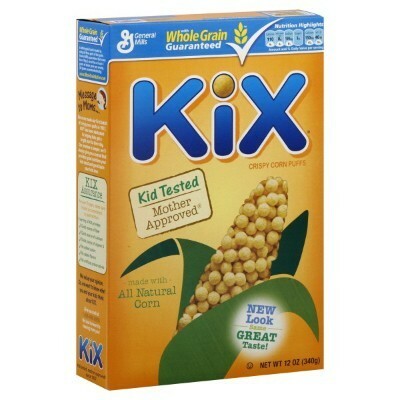 Whole grain corn, corn meal, sugar, sugar, corn bran, salt, brown sugar syrup, stabilizing agent E339iii, antioxidant E307 (vitamin E) to preserve freshness, Vitamins and minerals: E170, iron and zinc (mineral nutrients), vitamins C-B3-B6-B2-B1-A-B9-B12-D3. Contains GMO. Nutrition facts (for 100g): calories 367Kcal, total fat 3.3g (saturated fat 0g), total carbohydrate 83.3g (sugar 10g), protein 6.7g, salt 1.5g.